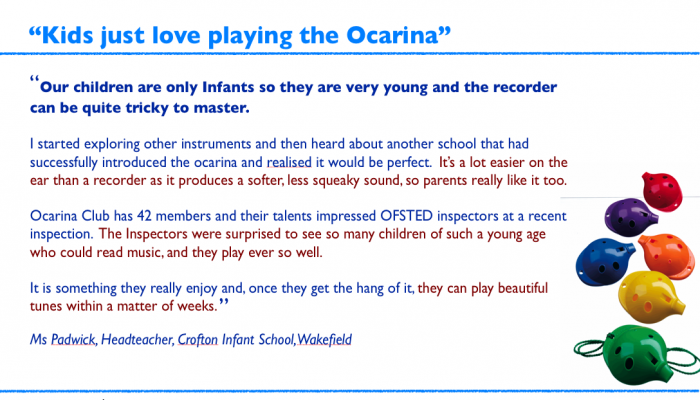 The ten comments on this page are from published Ofsted Reports in assessment of Primary Music lessons in England. 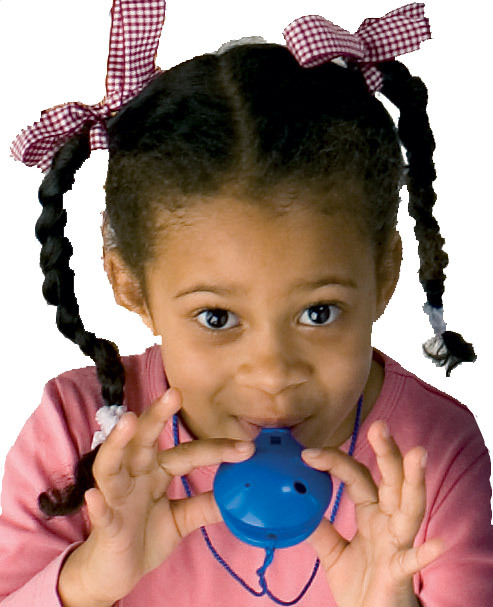 Each comment highlights a different area of music-making observed as ‘outstanding’ where Ocarina-playing has been key to the success of the lesson. Use these comments as a starting point in thinking about your own lessons. For example, how actively involved are all the children throughout the lesson. Are they listening carefully as well as playing? Do they have opportunity to perform individually and as a group to others? Are their skills developing through playing in harmony, for example, or learning to play pieces that have more complex rhythms.